Welcome to Daegu! The team at Novotel Ambassador Daegu and I welcome you with a warm smile. I guarantee that you will not find any better place to enjoy the thrill of discovering Daegu city. Our mission? To make you feel like at home. 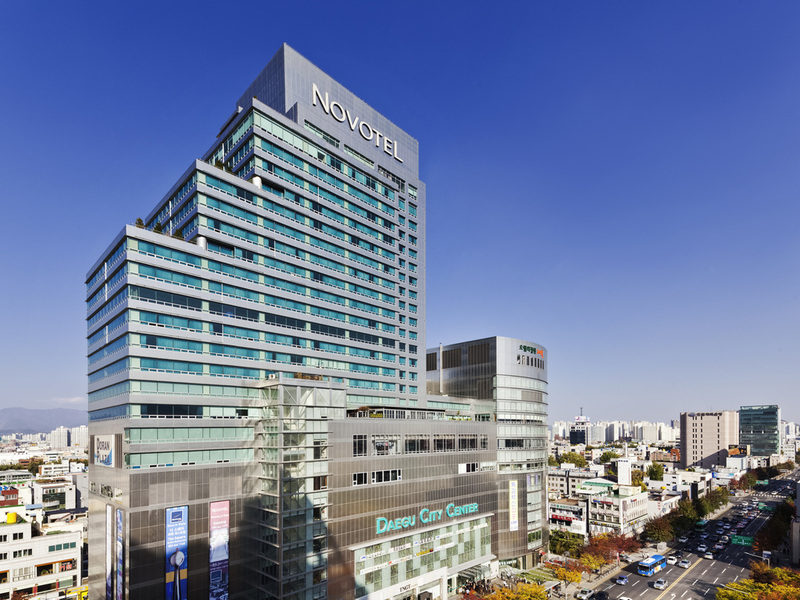 Experience a classy stay and fine dining at Novotel Ambassador in Daegu on your business or family trip. Choose from a suite, superior room, or opt for a stay at the exclusive executive floor. Guests can discover Korean and French speciality cuisines at The Square restaurant or pick from the a la carte menu. The pool is attractive, but the H2O Poolside Bar is a cherry on top! The hotel also features meeting rooms, with capacities of up to 800 people. High-end well-being facilities: Fitness center with personal trainers, saunas and spa. 1 fusion restaurant, 1 bar and room service. 4 state-of-the-art meeting halls. Located in the heart of Daegu's downtown with direct access to shopping malls and subway. Free WIFI service in all public facilities and guest rooms. 15 minutes from Daegu International Airport, 10 minutes from Daegu high-speed train station. The Square restaurant serves exquisite Asian, Western and fusion cuisine. Both a buffet and a la carte menu with Korean and French specialties are offered. VIP rooms are also available, providing private spaces for business lunches or family parties. The H20 Poolside Bar is the ideal place to relax with friends or colleagues. Choose from a large range of cocktails, beers, wines and light snacks and enjoy the stunning view over the city's fashion district and surrounding mountains.